Go!Mandrake | Places that should not exist. Places that should not exist. It is an understatement to say that Cambodia has had a rough time. Following the decline of the once great ancient Khmer civilisation with Angkor Wat at it’s heart, fierce struggles with neighbouring Vietnam, colonisation by the French and no doubt many other things I have yet to learn of, Cambodia has endured a harsh modern history not normally bourne by one country alone. While it was just one of many factors, it is hard to deny that American bombing played a significant part in destabilising the country and facilitating the abrupt rise of the Communist Party of Kampuchea, specifically the more extreme anti-Vietnamese faction known as the Khmer Rouge, led by Pol Pot. A familiar pattern… is it not? The Khmer Rouge seized control of the capital Phenom Penh on April 17, 1975. 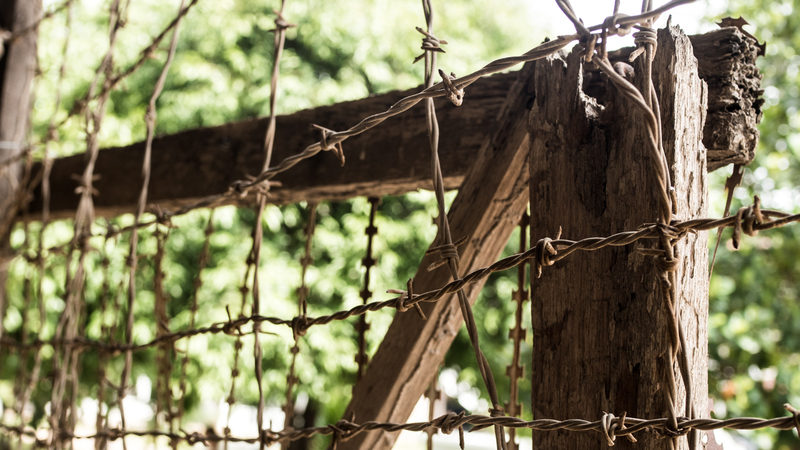 I won’t try to explain what followed, but the period of Khmer Rouge control that many Cambodians simply refer to as “three years, eight months and 20 days” saw an estimated 3 million executed – a significant proportion of the population and very particularly anyone with any form of education. The effect of wiping out this knowledge, skill, experience and the role models that carried it all can be seen today (and thankfully, those rising up to overcome it may also be seen). Everyone above a modest age in Cambodia has been touched by these events, and those younger grow up in the shadows that they still cast. 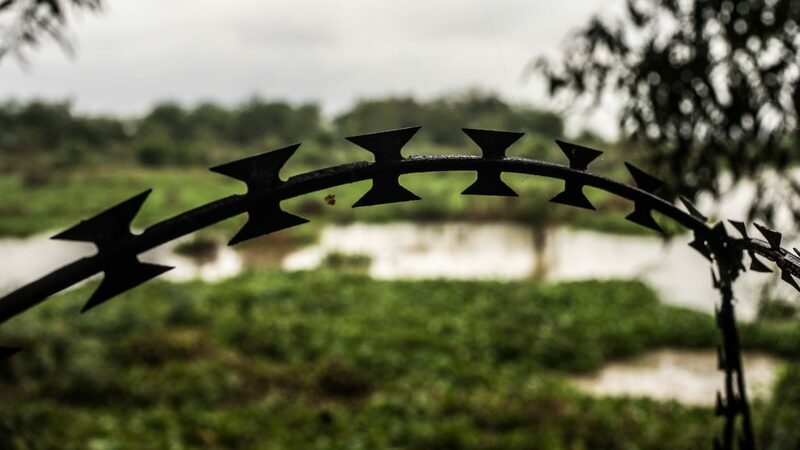 We visited the killing fields of Choeung Ek – the most infamous but just one of a staggering 20,000 mass grave sites in Cambodia. 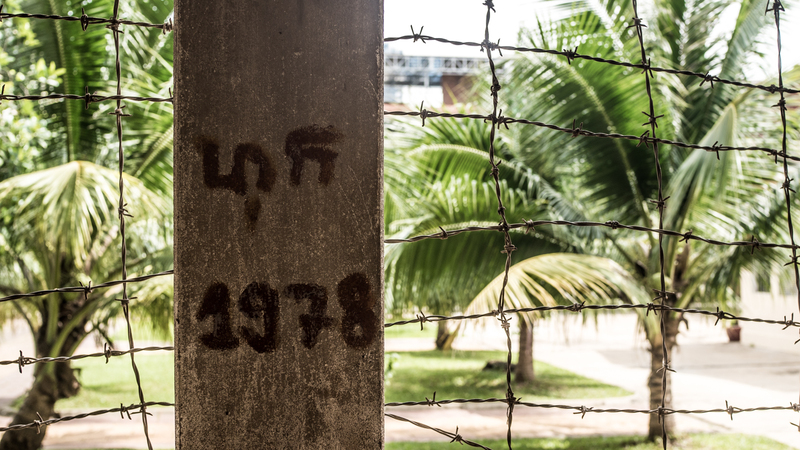 We also visited the infamous S-21 prison in Phenom Penh – a school repurposed by the Khmer Rouge as a prison and brutal interrogation facility, now the site for the Tuol Sleng Genocide Museum. These are not places where you snap away holiday photos, I wasn’t sure if I wanted to take my camera at all. Now that I have spent time at both these places and learned some of what happened here with the help of the excellent audio-guides, I find the few photographs that I did take rather powerful. I would urge anyone visiting Cambodia to make sure they visit both of these sites and allow yourself plenty of time, ideally not squeeIng both into one day. I’d also recommend seeing the traditional Khmer dance show at the national museum in the evening to lift your spirits a bit, we found that it helped. 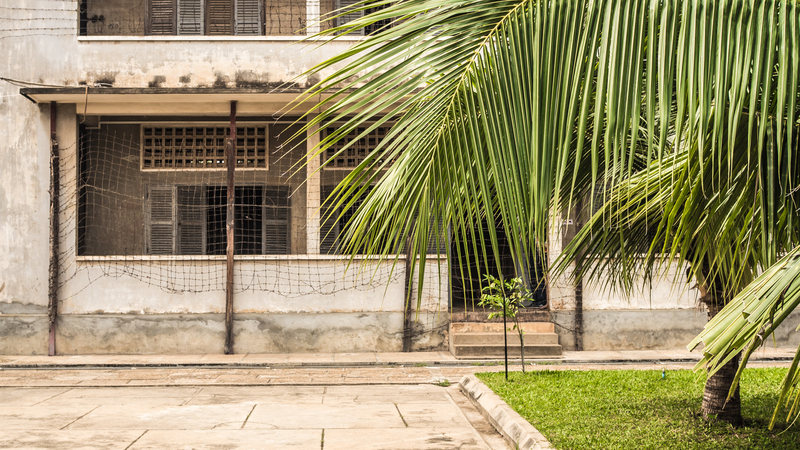 Tuol Sleng S-21 Prison, Penhom Penh. 20,000 prisoners passed through S-21 over 4 years. Just seven survived. 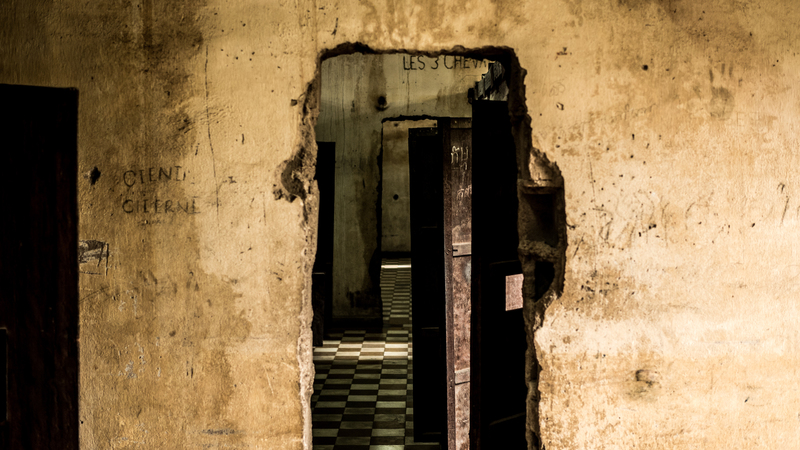 Tuol Sleng S-21 Prison, Penhom Penh. It’s common, in the “west” at least, to associate palm trees such as these with tropical paradise – sipping cocktails on tropical beaches and so on. These trees, planted to provide shade for children were looked upon by the inmates of S-21, chained, shackled and tortured. 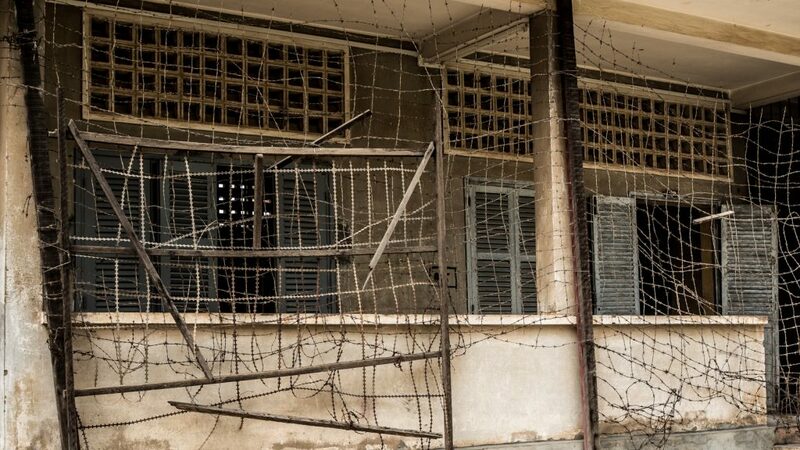 Tuol Sleng S-21 Prison, Penhom Penh. 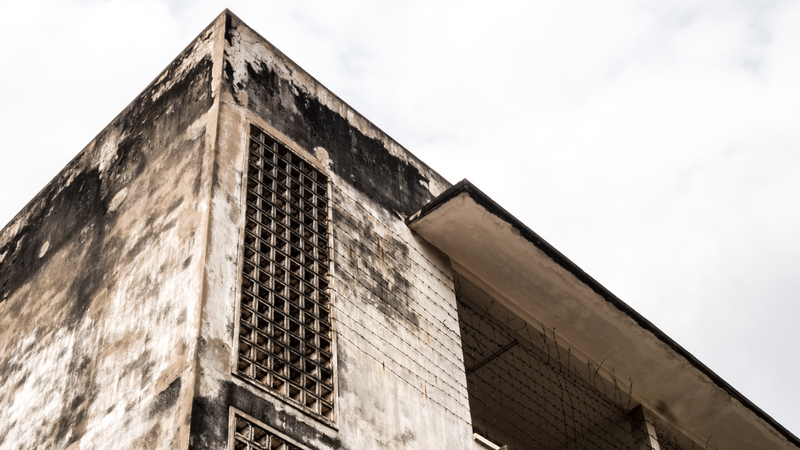 The air vents above each set of windows were blocked when this secondary school was repurposed as a prison. Choeung Ek Killing Fields, Cambodia. Wristbands and beads left in remembrance of those who died here. 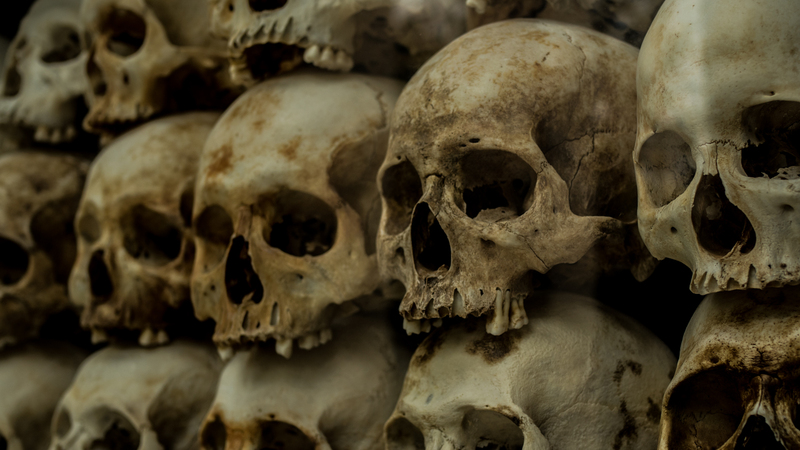 In this particular mass grave the bodies of 166 Khmer Rouge Cadres were found – traitors to Angkar (the “organisation”) all were found wearing cadre uniforms and without their heads. 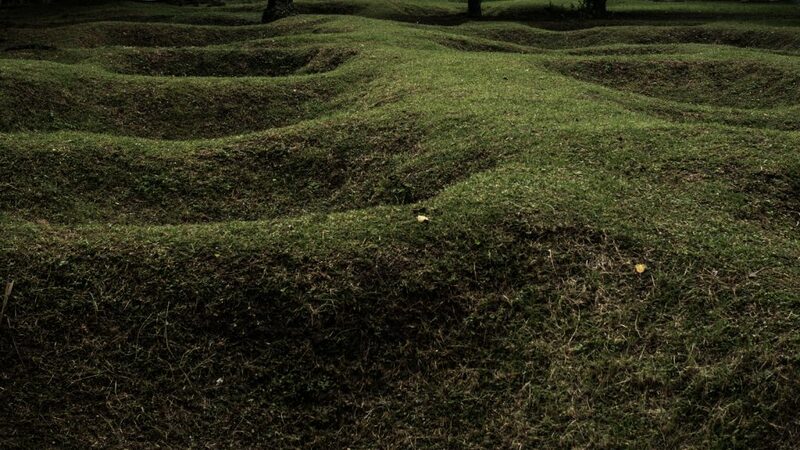 Some of the other mass graves here had far more gruesome stories to tell. Choeung Ek Killing Fields, Cambodia. Some of the mass graves at this site. Bones, teeth and cloth still rise to the surface, usually after heavy rains. I was really taken aback when I noticed five teeth that had been collected up and respectfully put to one side, it really highlighted where I was and what had happened here. Choeung Ek Killing Fields, Cambodia. The giant Buddhist Stupa at Choeung Ek houses 5,000 skulls of the Khmer Rouge victims exhumed here. Many more remain undisturbed. (Still unsure about including this photo, but keep arriving at the answer that “some things should be hard to see”). 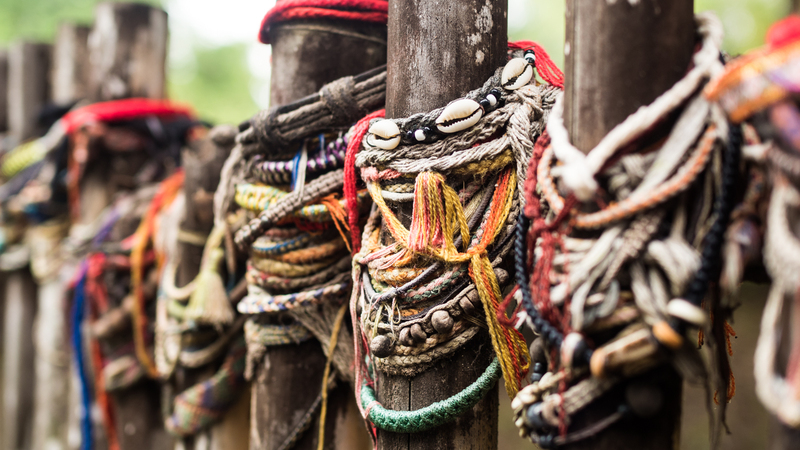 Posted in Cambodia, TravelBookmark the permalink. Jaw dropping, vivid and essential knowledge for all to receive, learn and strive to fight against. Well written, you’ve summed up many of my thoughts about what we saw and felt in both these places. Hope for a brighter future.